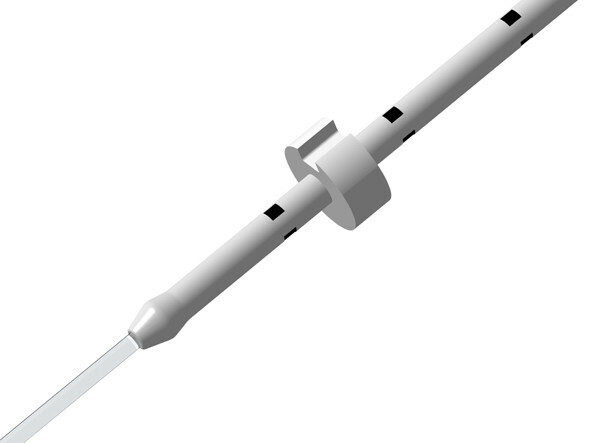 Rocket BulbTip™ & BulbTip Echo™ catheters are the latest generation of embryo transfer products from Rocket Medical. Designed with new features to further improve ease of insertion and minimize uterine trauma, they continue our long established reputation for continuous product development. ULTRAFINE INNER TRANSFER CATHETER to minimise media volume on transfer. Externally supported to ease loading and to aid insertion into the sheath during transfer. Distal 60mm unsupported. BULB TIP OUTER SHEATH with smooth bulb formed tip to improve location during insertion, reduce cervical trauma and to guide the ultra fine inner catheter correctly into the uterine cavity. Particularly suitable for patients where cervical access is difficult. ECHO BANDED VERSION to improve visualisation under ultrasound guidance. SLIDING SILICONE MARKER to allow insertion depth to be pre-set prior to transfer. RIBBED FINGER GRIP gives unequalled grip and control while ensuring accurate placing of the catheter tip into the uterine cavity.